In Bristol, we believe that we should make data, that belongs to the public, accessible and usable to people and machines. 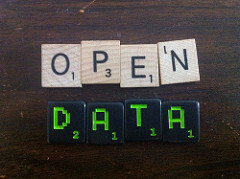 Opendata.bristol.gov.uk is the place where we currently publish open data sets (over 140 datasets and growing). Our work involves raising the profile of open data within the council and working with data owners to identify and prepare datasets for publishing. Bristol is a node of the Open Data Institute. ODI Nodes connect, equip and inspire people around the world to innovate with data, led by local experts. As a Community Node, we convene local individuals and organisations interested in open innovation, delivering local events and workshops. We work with partners to raise awareness of data’s economic, social and environmental benefits, encourage local collaboration and help build connections through the ODI community. Citizens can join the ODI community to follow and contribute to this work.